Lucky Patcher is an android/PC app and PUP designed to patch applications, create custom patches or create modified APKs without root access. It works by analyzing the list of applications installed on the user’s device and indicates the actions they can carry out. 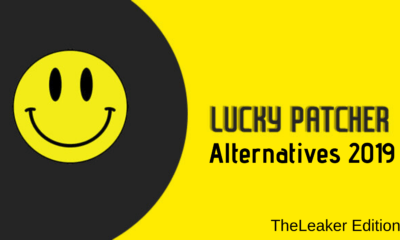 Update: Download the latest Lucky Patcher 2019 version from here. One of the striking features of Lucky Patcher is that it works even on non-rooted devices offering basic functionality. However, the full gamut of features is unlocked once the user has root access. As soon as Lucky Patcher receives superuser access, it offers a whole range of activities, some of which are listed below. Lucky Patcher enables the user to remove the license verification included on most apps that require them to be downloaded legally from Google Play to function appropriately; modify the permissions associated with them; extract the APK file to perform backups and defragmentation; remove Google Ads; unlock paid apps for subsequent installation. Its wide popularity is attributed to the ability of ‘hacking’ Android games to get free in-app purchases and gain special loot items which would otherwise cost a hefty amount from online wallets. How to use Lucky Patcher App? Begin by downloading the Lucky Patcher APK v8.0.0 using the following link, After downloading, install the app and grant it root access. Download the Lucky Patcher 8.0. APK using the above mentioned link, After downloading the APK, download rooted Bluestacks and install on it your PC/Laptop. Next, double-click on the Lucky Patcher APK file you downloaded before. It will cause the Bluestacks window to appear, and the app will be installed as desired. Following the download and subsequent installation, users can apply custom patches, remove licenses and ads and even install modded Play Store quite easily. However it’s also important to mention that Lucky Patcher isn’t the only app for hacking in-app purchases; some alternatives to it are Freedom, CreeHack, GameCIH and Leo Playcard.